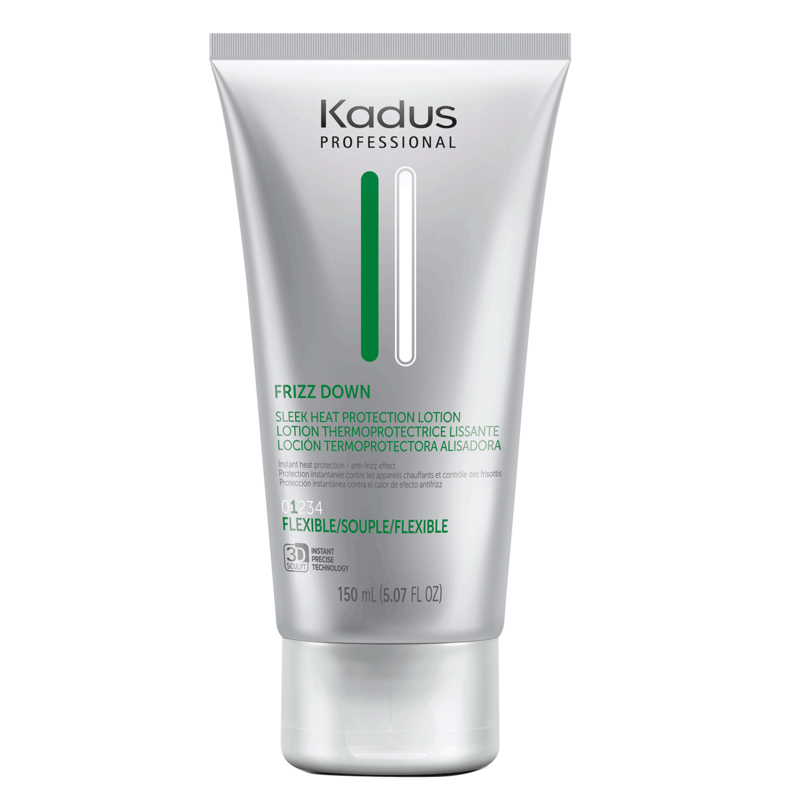 Kadus Frizz Down Sleek Heat Protection Lotion provides instant heat protection - anti-frizz effect. - Apply evenly to damp or dry hair. - Blow-dry the hair straight. WATER/EAU, DIMETHICONE, SORBITOL, AMINOMETHYL PROPANOL, CARBOMER, VA/CROTONATES COPOLYMER, FRAGRANCE/PARFUM, BENZYL ALCOHOL, PEG-40 HYDROGENATED CASTOR OIL, METHYLPARABEN, DISODIUM EDTA.